Mosab Hassan Yousef was born in Bir Zeit, near Ramallah on the West Bank in 1978. His father, Sheikh Hassan Yousef, is a founding leader of Hamas, internationally recognized as a terrorist organization and responsible for countless suicide bombings and other deadly attacks against Israel. Yousef was an integral part of the movement, for which he was imprisoned several times by the Shin Bet, the Israeli intelligence service. He withstood torture in prison only to discover Hamas was torturing its own people in a relentless search for collaborators. He began to question who his enemies really were–Israel? Hamas? America? While in an Israeli prison, Yousef was approached about becoming a spy for the Shin Bet. Initially, Yousef accepted it with the idea that he would betray them and in hopes he could use the role to protect his father and family. Later, as Yousef saw the hypocrisy within Hamas and became a Christian, he used the position to save lives on both sides of the conflict. Yousef worked as a double agent within Hamas for nearly 10 years. 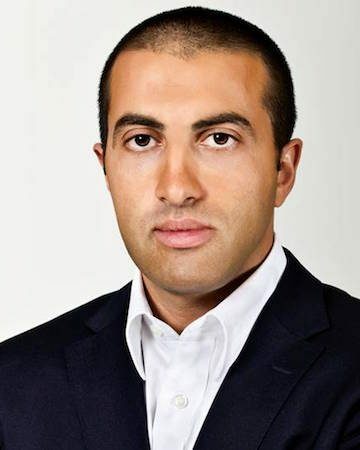 He became a vital intelligence asset for the Israeli government while Yousef served side-by-side with his father within the upper ranks of Hamas. After a chance encounter with a British tourist, Yousef started a six-year quest that jeopardized Hamas, endangered his family and threatened his life. He has since embraced the Christian faith and sought political asylum in America. His story was revealed in the 2008 Fox News documentary Escape from Hamas. Since then Mosab has travelled the world, visiting various countries and church communities to speak about his life changing experiences and offer insights in Islam, Hamas and the Israeli-Palestinian conflict. In his book Son of Hamas: A Gripping Account of Terror, Betrayal, Political Intrigue, and Unthinkable Choices (2010), co-authored with Ron Brackin, Yousef reveals information about this dangerous terrorist organization and unveils the truth behind his own secret role. He describes his surreal journey to a new faith that instructed him to love his enemies. And he tells the story of the agonizing decisions that led him to walk away from his family, friends and homeland. Best Documentary at the Bavarian Film Awards (2015).